The definition of “rent” that is subject to excise no longer includes security deposits. It also excludes activities and services such as spa treatments, which are offered to both occupants and non-occupants. The effective date for collections by traditional lodging accommodations to begin using the new definition was advanced from March 28, 2019 to July 1, 2019. The new law expands the room occupancy excise to include short-term rentals. Aside from taxing short-term rentals, there are some aspects of the law that impact traditional lodging establishments already charging room occupancy excise, like bed and breakfast establishments, hotels, lodging houses and motels. The following lists are meant only to highlight a few of the changes for short-term rentals and traditional lodging accommodations. We recommend reviewing the frequently asked questions and the technical information release (TIR), on the Department of Revenue website, for detailed information on the new law. Rent from short-term rentals will now be subject to room occupancy excise for any agreements made on January 1, 2019 or after for occupancies beginning July 1, 2019 or after. “Rent” includes, insurance, linen fees, cleaning fees and booking fees. A short-term rental is an occupied property where at least one room or unit is rented using advance reservations – this might include an apartment, house, cottage or condominium. 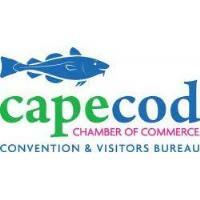 A short-term rental may also be subject to the Cape Cod and Islands Water Protection Fund excise and/or a Community Impact Fee depending on the city or town where the rental is located. Operators of short-term rentals must register with MassTaxConnect on or after July 1, 2019 when registration will be available. Operators who rent more than 14 days in a year must collect the excise. An exemption is made for single occupancies of more than 31 consecutive days. Intermediaries who collect rent on behalf of short-term rental operators are required to collect all excises and fees and remit to the Department of Revenue. There are other important aspects of the room occupancy excise worth noting as described in the frequently asked questions and TIR. There is an expansion of “occupancy” to include any and all furnishings, services, accommodations, like breakfast at a B&B, whether the occupant chooses to avail themselves of the services or not. There is an expansion of “rent” to include insurance, linen fees, cleaning fees and booking fees. A new local excise of 2.75% will be collected in those cities and towns in Massachusetts that are members of the Cape Cod and Islands Water Protection Fund, currently including all Barnstable County cities and towns. (A new local option Community Impact Fee applies only to short-term rentals and does not affect those currently charging the room occupancy excise). Intermediaries who collect rent on behalf of the operator of the lodging establishment will be required to collect and remit tax to the Department of Revenue, including any applicable Cape Code and Islands Water Protection Fund excise. The effective date for those currently collecting room occupancy excises (and new establishments) to begin collecting the room occupancy excise, based on the new definitions of rent and occupancy, is July 1, 2019. This would include any applicable local excises. Any price quotes, or collection of rents for occupancies after July 1, 2019 should include the excise. Stay tuned, whether you are in the short-term rental or traditional lodging accommodations industries, for more information about tax reporting under the new law. Registration for short-term rental operators or intermediaries will be available through MassTaxConnect as of July 1, 2019. We will also continue to update the guidance on our website with any changes that take place. After reviewing the frequently asked questions and technical information release, please contact the Trustee Tax Contact Center at 617-887-6367 (choose #4 for both prompts) with any additional questions.